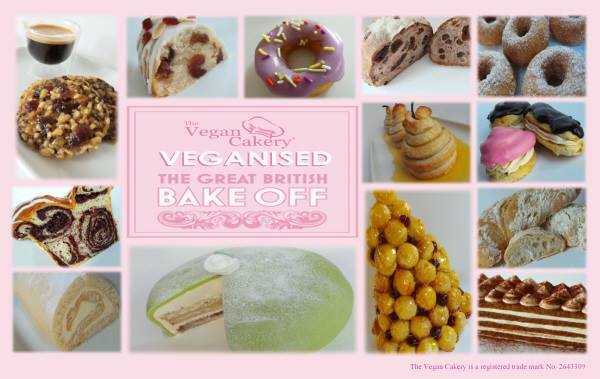 Everyone is always told through programmes like Great British Bake Off you need eggs and dairy to create delicious cakes…well TVC proves you definitely do not! 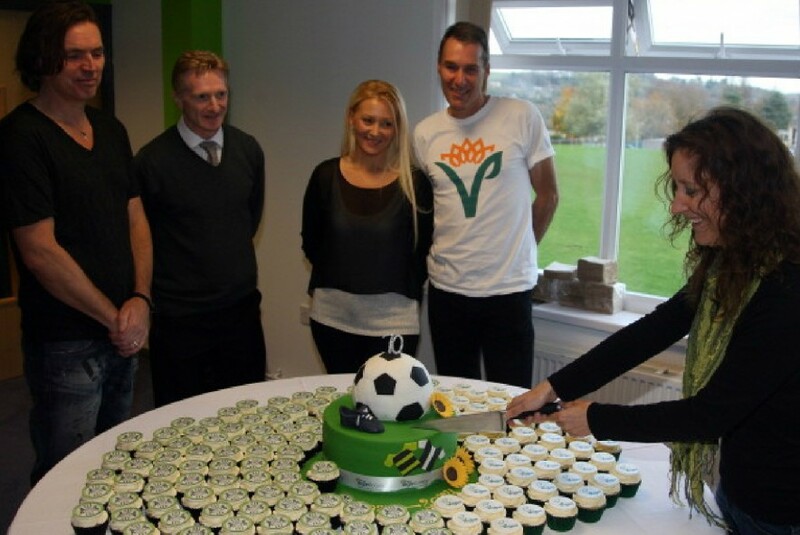 To prove the point, TVC ‘veganised’ all of the technical challenges from the 2014 series and will be doing so again in 2015. 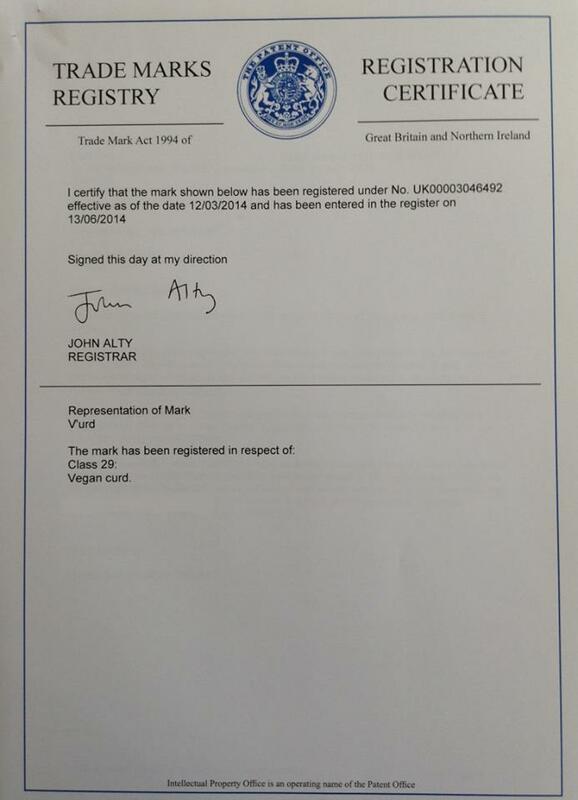 The Vegan Cakery now has an officially Registered Trademark for the term ‘V’urd’ – TVC’s very own vegan version of curd. It is actually illegal to call a spread ‘curd’ if it does not fulfil the compositional requirements by law. Therefore it is not possible to call any vegan spread curd as it doesn’t (or shouldn’t!) contain eggs! 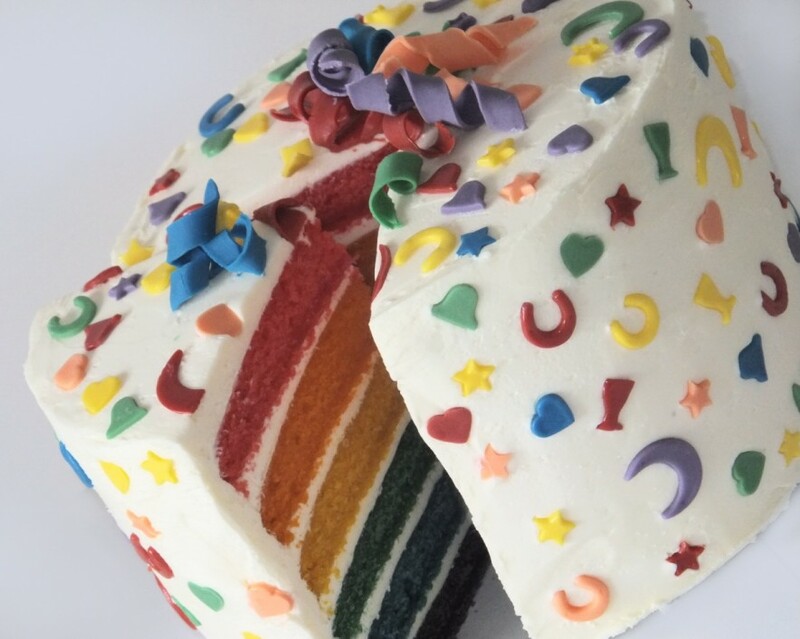 No Joke…Romesh Ranganathan Gets Cake Boost From TVC! 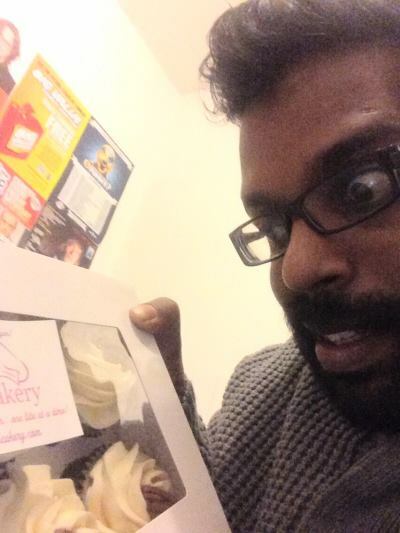 Proud to say award-winning comedian, and star of Channel 4’s Stand Up For The Week, Romesh Ranganathan was feeling the vegan love at Just The Tonic in Leicester…he had some of The Vegan Cakery’s Pecan & Maple Cupcakes before his gig! 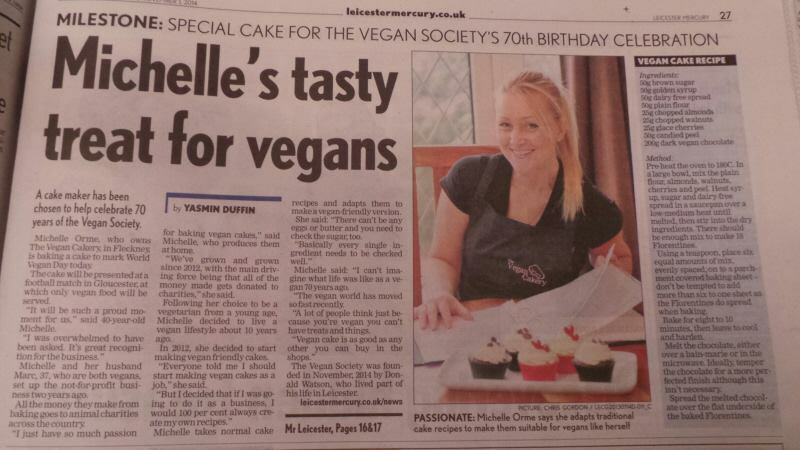 Unsurprisingly, we’re still doing all we can to spread the vegan word as can be seen in this Saturday’s edition of the Leicester Mercury. 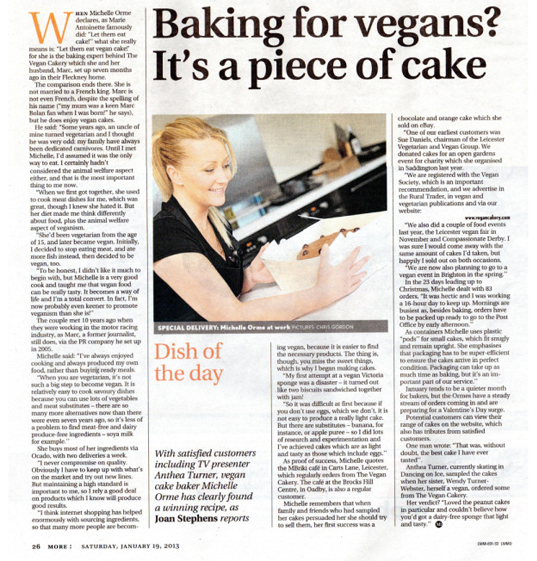 Joan Stephens has written a fantastic feature on The Vegan Cakery in the ‘More Mercury’ weekend supplement…thank you Joan!